BRAZIL. Johannes, Prince Regent. Ar, 960 Reis. 1816. Bahia. Stamped on a Spanish 8 Reales Carolus IV - 1800. 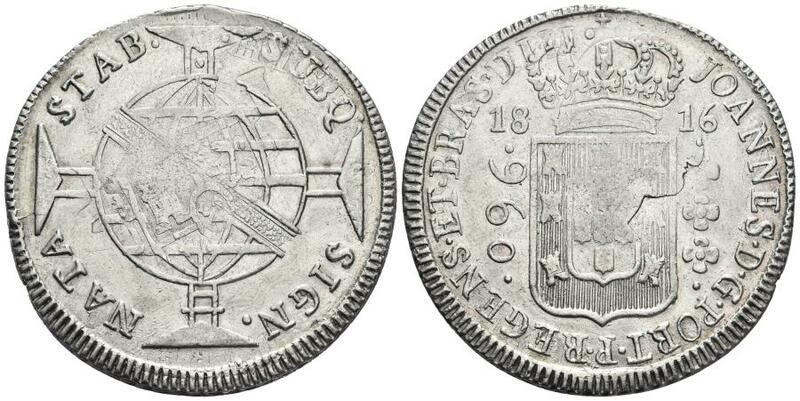 * Stamped on a Spanish 8 Reales Carolus IV - 1800. Silver (Ar) 26,8g - 41mm.